The international sport of Polo was invented first in Manipur! It is known as Sagol Kangjei. When the British came to Manipur, they were so impressed, they went on to popularize around the rest of the world. Home to an endemic species known as Sangai or the Dancing Deer. This deer only feeds on phumdi, which is floating vegetation found on Loktak Lake. The Sangai today is a Critically Endangered Species. Read here about how you can volunteer for wildlife conservation. Manipur is often embroiled in military and civil disturbances. As a result of which, much of its beauty and unique culture remains unknown. From food to culture, tourist spots to off beats hikes- we give you a break down of everything you need to know and expect from Manipur. Flight is your best and safest option. All major carriers have direct or connecting flights from all major cities. The newly opened railway line at Jiribam might make for an interesting experience, but it is far from the mainland and requires a lot of needless hassle to reach the city. Buses are a good option as well. Direct buses from Kohima and Dimapur ply everyday and are the perfect recipe for an adventure. Road trips are another amazing option. Personally, the roads are beautiful and winding with hairpin bends and fresh air. It took us 5 days to reach Imphal from Calcutta and it was a beautiful journey. But safety is a major concern here since the rugged topography and insurgent groups together can be an unsettling factor. Probably the most important archaeological site in the state, Kangla was the capital of Manipur (formerly known as Kangleipak) till 1891 AD. This was the royal fort since the reign of King Pakhangba back in 33 AD. 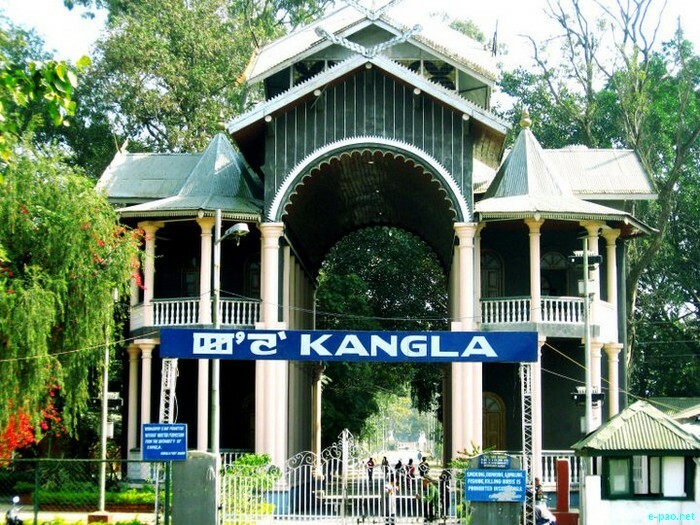 Both the political site of power as well as religious site of pilgrimage from far and wide, Kangla Fort occupies the heart of the city. Earlier extending on both sides of the Imphal river, today it is limited to the Western bank only. It is said there are 360 holy places inside Kangla. Some of them are Nungjen Pukhi (where Ningthou Pakhangba is believed to reside), Nunggoibi (Goddess of War), Manglen (Cremation site of the Kings) etc. A tribute to the town’s role in the War for Independence, this memorial complex celebrates the solidarity and symbolic importance of Moirang in the war against the British. The Azad Hind (Free India) Flag was first flown in this little town on 14th April, 1944, marking the unity between the Japanese forces and Subhash Chandra Bose’s army to counter the British Raj. World’s only floating National Park! Composed of a swampy topography, it is home to the endemic species of Sangai. Despite conservation efforts to increase the population under a controlled offsite environment, it has been noticed, the deer cannot survive without the unique phumdi vegetation found on the Loktak Lake. Loktak lake is also a Ramsar Site- wetland of national significance. The unique geopgraphical composition supports varied wildlife like marbled cats, blue-crested lizard, large Indian civet among several others. Often referred to as the Japanese War Memorial, the cemetary stands as a tribute to the thousands of innocent lives that were lost during the Second World War. A total of 1600 burials from across the world are located here to honour the their sacrifice. The war dead commemorated are from many commonwealth countries, such as 1300 from the United Kingdom, 10 from Canada, 5 from Australia, 220 from India, 40 from East Africa, 10 from West Africa and 10 from Burma. A guided tour is your best bet in order to understand the geographical, cultural and historical significance of the area. 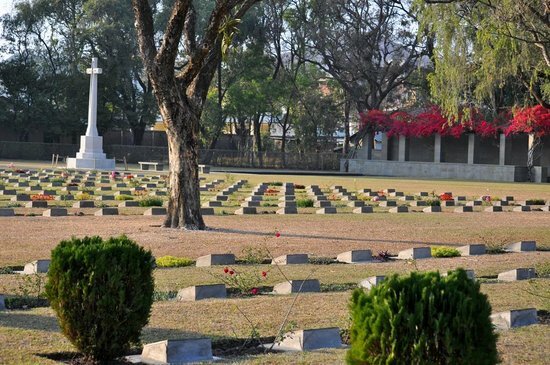 Viewed as the commercial capital of Manipur and India’a gateway to the South East, Moreh is a small town sitting on the border between Manipur and Myanmar. If the proposed railway gets the Government nod, there will be a straight linking Myanmar and India through here! For now, head here for the latest fashion from south east Asia at unbelievably cheap prices. This trilateral, all weather highway connecting the three countries is a dream come true for all itchy travellers! Scenic roads make for an epic road trip and what better than experiencing three countries at one go? The 26.5 km road has reduced the time to travel from Thinggan Nyenaung to Kawkareik from three hours to only about 45 minutes! Here’s your gateway to the Temples of Burma, mouthwatering south east asian cuisine and further! The IMT highway extends for 1360 km and is now open for crazy adventures! A super healthy salad that is a favourite across all age groups- this is often eaten as a side dish or simply as snacks. Comprising local vegetables like lotus stalk, green vegetables, perilla seeds (thoiding) channa powder, this is a must-try dish when you are in town. The non-veg variant includes ngari or fermented fish and prawns that spice up the taste. A variant of the singju since it includes similar ingredients, this is more of a curry to be had with rice. Devoid of oil and any masala, this is a healthy and tasty complement to rice. Another snack variety to chew down on a monsoon day while sipping some hot tea. This dish comprising yellow peas and local spices is a chilly affair. Thanks to continuous disturbances, Manipur’s natural beauty has never gotten a chance to develop any tourist-centric activities. But this lack has not hindered thousands of tourists who flock every year to see the state that is so diverse in its topography, culture, historical roots and present controversies. Worried? Hesitant because of all the news articles that highlight problems in Manipur? Well, we have got some answers. Language is usually not a problem. In Imphal, most natives are well versed in hindi and most local inhabitants from other states are fluent in Manipuri. Hence communication is not an issue. Also, the locals are really warm and helpful- eager to learn about other cultures and introduce Manipur’s too. Yes, you do have to look out for mass bandhs and strikes. Those days can be a real shame because you cannot leave your room and if you are on a planned trip, it can really mess up your schedule. Mondays are generally holidays for most tourist spots. So if you find yourself in front of a locked gate of some fort or memorial- you were warned here first! That’s it! That’s how easy and simple it is! It is not a burning town of wails and fires. Go have a look for yourself and be amazed by how much most people miss out on, due to fear mongering.